Started running Sakurajyuji hospital (641 beds), one of the largest private hospitals in Kumamoto. Established a medical checkup center and stared preventive medicine business. Completed ‘Sakura-kan’, a new ward of Sakurajyuji Hospital. Opened Hospitalment Sakurajyuji (101 rooms), a senior housing facility, in Minami-ku, Kumamoto. Received JQ’s Hospital Accreditation ver. 5.0. Opened Hospitalment Sakura Nishikan (97 rooms) in Minami-ku, Kumamoto. Started a palliative care ward and a subacute ward at Sakurajyuji Hospital. The Effort of saving energy with LED lighting was adopted as “Energy Saving Lighting Design Model Project” hosted by the Ministry of the Environment. Made outsourcing agreement for Elderly Support Center Sasaeria Sakuragi Akatsu with Kumamoto City. Succeeded Okagawa hospital (106 beds) of Okagawakai- in Yatsushiro, Kumamoto and started operation of the hospital under name of Sakurajyuji Yatsushiro Hospital. Made Joint Venture Agreement for clinic for Japanese named Nippon Medical Care in Singapore. Opened day care center specializing in rehabilitation called Let’s Reha Kuromon in Chuo-ku, Fukuoka. Opened Hospitalment Sakura Higashikan (109 beds) in Minami-ward, Kumamoto. Opened Hospitalment Musashino (114 rooms). Opened Hospitalment Sakurajyuji Hakata (108 rooms) in Hakata-ku, Fukuoka. Opened Akasaka Sakurajyuji Medical Checkup Center in Akasaka, Minato-ku. Opened Let’s Reha Watanabedori in Chuo-ku, Fukuoka. Received JQ’s Hospital Accreditation 3rd: Ver. 1.0. Opened day care center specializing in rehabilitation called Let’s Reha in the mall Sunpian in Higashi-ku, Kumamoto. Opened Let’s Reha Chikushigaoka in Sawara-ku, Fukuoka. Opened Let’s Reha Arae in Sawara-ku, Fukuoka. Established TDG Nishikawa Nippon Academy, Japanese language school, in Manila, Philippines. Succeeded Maruta Hospital (167 beds) of Maruta-kai in Yatsushiro, Kumamoto. 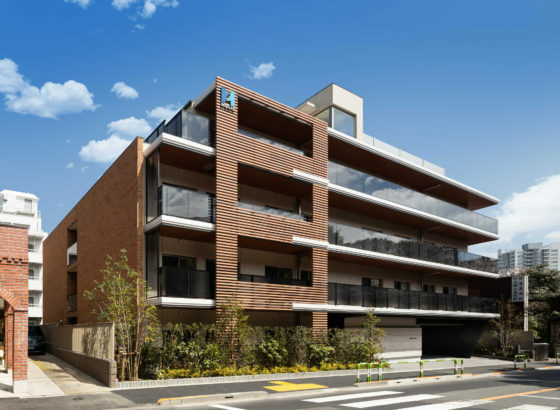 Opened Hospitalment Itabashi Tokiwadai (92 rooms) in Maeno-cho, Itabashi-ku. 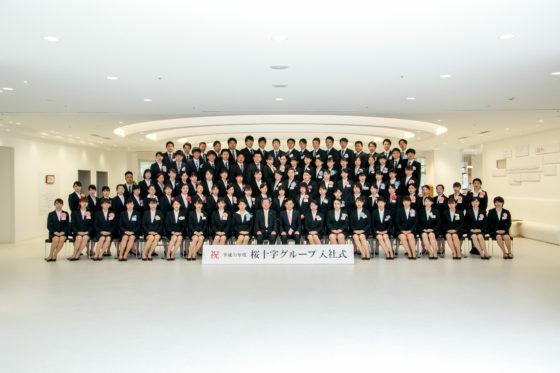 Opened Sakurajyuji Hakataeki Medical Checkup Center in Hakataeki, Hakata-ku. Signed MOU with CHC Healthcare Group of Taiwan. Opened Let’s Reha Harada in Higashi-ku, Fukuoka. Relocated the Tokyo headquarters to Shiroyama Trust Tower in Shiroyama, Minato-ku. Opened Let’s Reha in the mall Hamasen in Minami-ku, Kumamoto. Relocated and expanded Shiroyama Hills Clinic then renamed Shiroyama Garden Sakurajyuji Clinic. Opened Ebisu Sakurajyuji Clinic in Shibuya-ku. Succeeded Kego Hospital (40 beds) in Chuo-ku, Fukuoka. Opened Let’s Reha in the mall Youme Town Yatsushiro in Yatsushiro, Kumamoto. Opened child development support center called Let’s Reha Junior in Minami-ku, Kumamoto. Opened Stroke Rehabilitation Center in Sakurajyuji Hospital in Minami-ku, Kumamoto. Sakurajyuji Medical Square (Chuo-ku, Fukuoka) received the Healthcare Architecture Award 2017. Opened Let’s Reha Ashiya, in Ashiya, Hyogo. Succeeded Hanabatake Hospital (135 beds) in Kurume, Fukuoka. Opened Sakurajyuji Shibuya Birth Clinic,in Shibuya-ku, Tokyo and stared fertility treatment business. Opened Sakurajyuji Grand Front Osaka Clinic, in Kita-ku, Osaka. Signed MOU with Shanghai Sungin Capital Co., Ltd of FOSUN group of China. Opened medifit, fitness gym, in Grand Front Osaka (Kita-ku, Osaka). Succeeded Harada Hospital (101 beds) in Itoshima, Fukuoka. Opened Let’s Reha Chikami, in Minami-ku, Kumamoto. Opened Sakura Cross Clinic, one of the largest Japanese health screening clinics in Thailand, in Emporium Tower (Bangkok, Thailand).